Royalty Webdesign developes management software for hotels, hotel reservations software, hotel billing software correlated with cash registers and touch screens , custom made web based applications. The management program is designed for hotels , motels and hostels and offers the opportunity to quickly and efficiently manage existing rooms , stocks , hotel guests and reservations made by them , orders, invoices and receipts , etc. .
Our custom made software for hotels has advanced functionality , customized to customer requirements. The graphical interface is designed in a professional manner and shows a graphical hotel schema . Our company has created online programs for hotel reservation and management using databases, that allows users to simultaneously access the internet. hotel management software that allows you to store all employee data and their work. After logging into the system employees can perform various activities like booking , issuing invoices and receipts , issuing tax receipts etc. .
reservation software for hotels and guesthouses that allows customers to book a room for a period of time , with different characteristics (single, double , floor , no rooms , bar etc). The software allows the customer to confirm or cancel the booking , check- in, check- out , print tickets , print sheet reservation. online web based application, that allows daily reports on receipts / payments , on free / occupied rooms etc. The number and complexity of management reports is established with each client according to his needs . 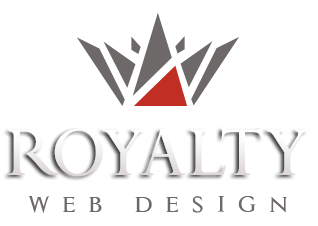 Royalty Webdesign has achieved so far numerous control software, billing software , management software for restaurants and hotels .